Microsoft pushed a new build to Insiders, the first Redstone 2 release for Windows 10 Mobile Insiders, and the second one for Windows 10 PC Insiders. As expected, the new build doesn’t bring any new features, but instead improved some aspects of the system. Unfortunately, it has also brought some issues of its own. 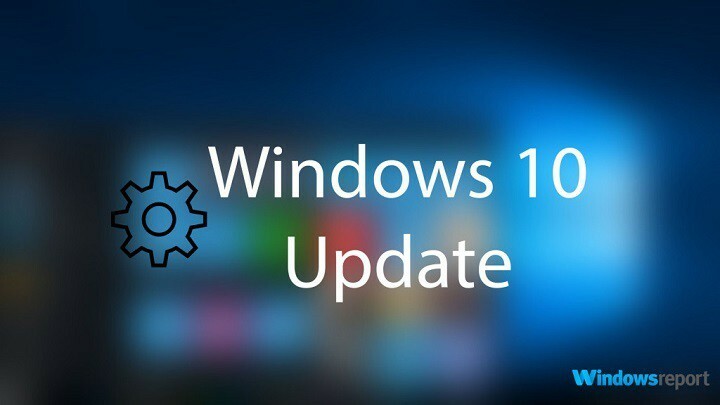 If you follow our site, you probably know that we write an article with issues reported by actual users for every Windows 10 build that gets released. This report doesn’t include ‘known issues,’ revealed by Microsoft, but only problems that users complained about on Microsoft’s forums. We don’t have a specific solution for this problem, but as always, we recommend you to try running the WUReset script, a tool which fixes many update problems in Windows 10, and it might actually do the job for you. If the script fails to solve the problem, try some more solutions for updating issues in Windows 10. However, as it turned out, Microsoft’s servers were overloaded at the time, so some users didn’t receive the build immediately. Microsoft fixed the server problem shortly after, so if you still have to install build 14905, you probably won’t encounter this issue. The problem with the Settings app from the previous build still remains, but Microsoft actually acknowledged it, and listed it under “Known issues” for build 14905. So, if you’re encountering this issue as well, probably the only solution is to simply wait for Microsoft to release a new build. “Do you actually have the option to Rollback in Recovery? We’ll agree with the second user that the issue with Rollback is just a part of the Settings problem in build 14905. But we decided to tell you about it, just in case you want to roll back as well, so don’t be surprised if this Windows 10 build actually doesn’t allow you to do so. Unfortunately, no one from the forums had a solution for this problem, but if you also face it, try finding a solution in our article about homegroup problems in Windows 10, it actually might be helpful. Microsoft brought Bash for Ubuntu to Windows 10 with the Anniversary Update, and it looks like the first Redstone 2 builds already started causing problems. One user reported that he receives an error message every time he tries to open Bash with the Command Prompt, and that the solution is still unknown. Once again, other Insiders from the forums had no solution for this problem. However, we have an article about screen problems in Windows 10, so if your screen also started flickering after installing the latest build, go and check it out. We can’t guarantee it will solve the problem, but it’s worth a try. As you can see, build 14095 is way more troublesome than build 14902. There are even more reported problems on the forums, but Microsoft listed them under ‘known issues’ for this build, so we count them as ‘expected,’ therefore we decided not to include them in our article. If you encountered some problems that neither we nor Microsoft listed, feel free to let us know in the comments.